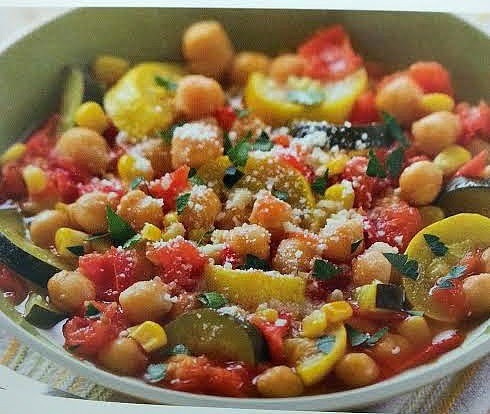 This meatless Summer stew was served to me at a friend's house and it was so amazing! I just had to ask my friend for her recipe. The stew has plenty of bold & hardy favor even with out meat. I was so surprised to see my male friend Steve ( who is a meat and potato guy) gobble it up! hope you'll enjoy it as much as i did! It does look really good! I like to eat lighter meals in the summer and this one looks perfect! Hey Kim,I do really appreciate your comment thanks for stopping by! I am a self-confessed hoarder of crock pot recipes. Thanks for sharing at #amyscircleshare hop. 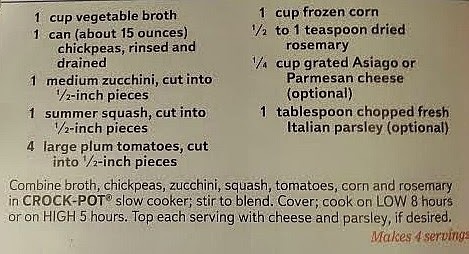 Love this recipe with so many healthy vegetables in it. Sure would hit the spot for a hungry gang. Thanks for sharing on Real Food Fridays. Pinned & twitted.